The Broomfield Home-Owners' & Residents' Association (BHORA) was established in 1929 and is the longest standing residents association in the London Borough of Enfield. It was set up to serve the interests of the local community organising social events, as well as tackling aspects of local life such as health, transport, and so on. The Association is non-political and non-commercial. There are a number of big local issues at the moment, t﻿ake a look at our campaigns page. By communities working together our area will get better and better. Become a BHORA member and get involved. Please find attached the sixth in a series of newsletters to keep you up to date with progress on the North London Waste Plan (NLWP). Please come along; it’s important that your views are heard. The Bounds Green Bowls​ and Tennis Club. Entrance Goring Road by postbox, N11 2BS. Car-park available. The club bar will be open. If joining or renewing membership on the night arrive between 7pm-7.30pm for membership processing. The London Plan scopes out how London will develop over coming years. Please have a look at it, don't feel overwhelmed, comment as it requests you do and also let BHORA know what you think. This is our opportunity to tell the Mayor what we want. ‘A treasure trove ... highly recommended’ comment from local resident. ​Have you some furniture in reasonable condition that you no longer want? We can collect. Are you looking for good quality affordable items for a room or flat? Or perhaps you’re after a one-off piece of ‘Upcycling’ – our team recently won a category award at the London Upcycling Show. ​Come and visit us at 4, Queens Parade Close, N11 3FY (Tel 0208-361-6802) or look at our latest stock here: http://www.facebook.com/barnetfurniturecentre. ​Barnet Furniture Centre (BFC – Charity No 1140541) opened in 2011. Since then we’ve recycled over 650 tons of furniture and household items which might otherwise have ended up dumped in landfill, and made some 8,500 local collections. ‘Over 650 tons’ doesn’t mean much; but imagine a continuous terrace of three-bedroom houses on both sides of the road, from Southgate Green, down Waterfall Road, along Friern Barnet/Woodhouse Road to Tally Ho Corner; then imagine all the contents from all those houses, and you’ll get some idea. We offer two-tier prices, the lower price being for those on benefits. We also operate a voucher scheme for needy tenants of local housing services. So far we’ve helped around 5,000 needy people and families. There’s a small professional management team, but we rely greatly on our wonderful volunteers, many from local ‘Help-to-Work’ schemes. Since 2011 several of these have progressed to part-time or even full-time jobs at BFC or elsewhere. If you have skills in carpentry, upholstery, painting, design etc, or can commit a few hours in preparation such as sanding etc, you might be interested in finding out about our Upcycling team. If you can offer a few hours helping in admin, we’d love to hear from you. We’re immensely proud of our record to date, and look forward to your joining our many existing customers from many other parts of South and West Enfield. ​View the exhibition boards from Notting Hill Housing's exhibition last week, covering the proposals for the next phase of development on the Bowes Road. View Proposals for Development on Bowes Road - 29th & 30th Nov. 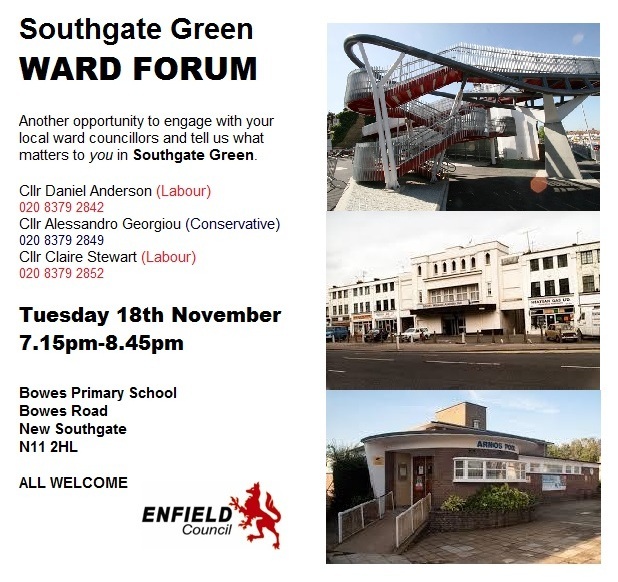 Invitation from Notting Hill Housing to view proposals for the development of a site in Bowes Road. If you view the proposals Please email us your views . What Enfield Southgate candidates think! Members of BHORA submitted questions to the candidates, here are their answers. Election of officers. – Chair, Secretary, Treasurer and election of seven committee members. All members are welcome to join the committee. Formal thanks for those who have worked with the committee. 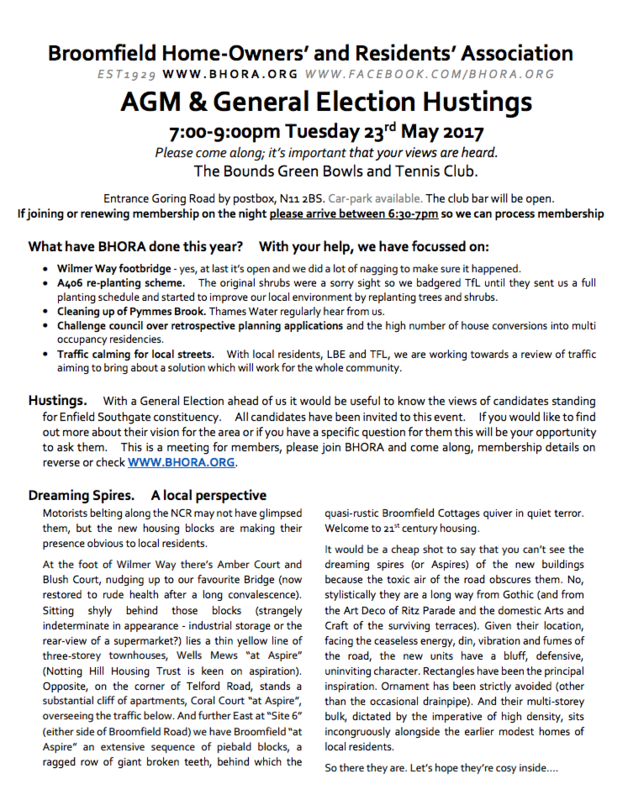 Close of AGM, update on local events, start of hustings. Sign a petition calling on the Mayor of London to tackle air pollution and save lives by creating an Ultra Low Emission Zone (‘ULEZ’) to cover the whole of Greater London. Local list of tradesmen recommended by residents of the Fox Lane Residents Association. ​PLEASE READ Notting Hill's consultation boards for developing furhter sites along the North Circular (Bowes Road), including the Ritz Parade. Enfield Council have a Local Heritage Assets list. The list helps councils and communities identify local landmarks. ​BHORA supports the Ritz Parade inclusion to the list and have submitted a article to the council consultation (click to read the letter). Many thanks to those of you that came to our Half-Yearly meeting. In attendance was our guest speaker Joanne McCartney, the Deputy Mayor of London & Assembly Member for Enfield and Haringey, and around 50 local residents. Please read the DRAFT minutes of the Half-Yearly meeting. 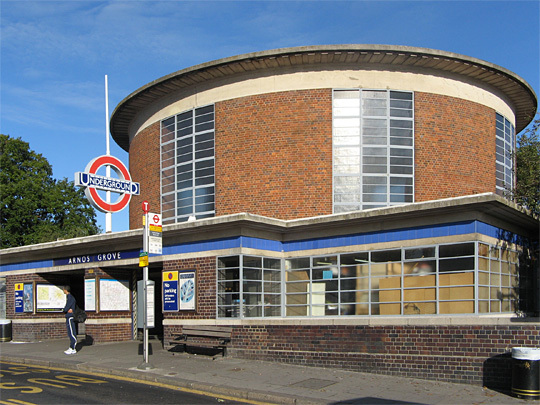 When the original plans for The North Circular Area Action Plan were presented it was planned that the surgery at Arnos Grove would be upgraded with new clinics and more space. By early 2016 the Practice Manager was reporting that more & more patients were joining and that by mid-2016 the surgery was being overwhelmed. Then, in mid-June 2016, Dr. Zia’s surgery closed at short notice. Taken together around 5.000 people will come into the area as the new homes on the Ladderswood Estate and on Bowes Road are completed. To that add 2800 patients from Dr. Zia’s practice all seeking a doctor. The NHS/Enfield Clinical Commissioning listed 34 practices where patients should seek a doctor. Of this 34 , 19 were in Haringey, 12 in Enfield and 3 in Barnet. When the locations were identified our estimation was that only 20 were accessible to all and the distances that were involved included North and South Tottenham and other far-flung locations in Haringey. Our conclusion is that the arrangements are ridiculous and that what is needed is an upgrade at Arnos Grove and another surgery to replace that of Dr. Zia. 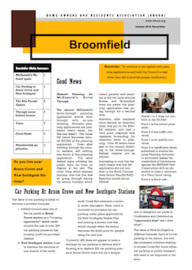 We at BHORA have put these points to Enfield Clinical Commissioning Group, but we still await a reply. If you are affected by these changes we would urge you to complain to The Enfield Clinical Commissioning Group. Many thanks to those of you that attended our Annual General Meeting last month. It was pretty busy with around 60-70 people attending, and 11 people stepping forward to become Committee members. Please read the draft Minutes from the BHORA AGM. There was also a brief discussion on the need for a Community Hub, to provide much needed services for all those moving into the area and those who already live here. Ritz Parade could be a prime spot for community facilities. Broomfield Home-owners and Residents Association (BHORA) shared the Ritz Parade opportunity site development brief with members and asked for comments. Members responded with comments not only pertaining to the present consultation brief but also on the general development of the 2.5mile stretch of the North Circular Road which makes up the North Circular Area Action Plan (NCAAP). Ritz Parade on Bowes Road is a significant landmark. Currently it is run down, but it is planned for redevelopment as part of The North Circular Area Action Plan: It is even to be a “Neighbourhood Centre,” a focal point in the development. Yet, despite the North Circular Area Action Plan having been adopted long ago and construction having already started on other sites no report has yet been published which defines the options for Ritz Parade. 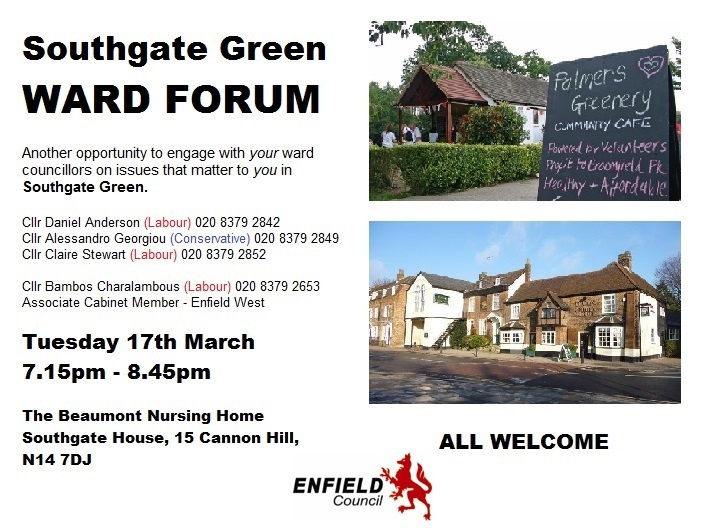 At the November meeting of the Southgate Green Ward Forum we were informed that three options had been identified and were being “tested”. We were also told that consultation with stakeholders was likely to be in January 2015 and with the public in March. We were later informed that publication of the related report would be in April, but this date has now moved to September without any explanation for the slippage. It is quite unacceptable that the public has still not been consulted and we still know nothing about the scope of the redevelopment and whether the regeneration will extend to the south. Nor do we know anything of the planned architecture, how much housing is to be included, building heights, or amenities (doctors, shops, community facilities, all previously promised). Nor are we aware of what initiatives LBE has taken to encourage new businesses to occupy the development in order to regenerate the area. So, is the sad story of 40 years planning blight to become 50 years? The public hopes not, but wants to be informed and involved. Let us know your views on this. The meeting started with a presentation of the Chairman's Report, followed by re-elections for Ordinary Committee members - on the Executive Committee sadly Caroline Chenier stepped down as Chairman, leaving the position currently vacant. We wish Caroline all the best in her immediate commitments and look forward to having her join the Ordinary Committee later in the year. In the ensuing Open meeting, Karl Brown gave a very interesting and startling presentation on Air Quality, a subject which indiscriminately affects us all. With impacts on health being what smoking was 30 years ago this is a very serious matter for which we should all consider doing something to improve. The meeting ended with a Raffle for a bottle of Champers. 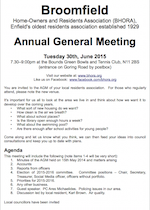 BHORA Annual General Meeting on 30th June. PWA are currently preparing a draft response to some proposed changes to Haringey Council’s Local Plan and supporting documents. Please visit the PWA website for details, and add your name to the Pinkham Way Alliance response. The deadline for signing is 5pm on Wednesday, 25th March. I would like to wish you all a happy New Year, and ask you to make supporting BHORA a resolution for 2015. As ever BHORA is committed to being vigilant over planning applications within the BHORA area, and holding the Council to task when they fail to provide proper notifications or suitable plans. Our efforts last year helped to see off proposals for a McDonalds Drive Thru on the Bowes Road, which would have been in close proximity to two schools. With future redevelopments such as the Bowes Road Ritz Parade being on the Councils' radar, we make a much needed plea for your support. Please join BHORA to make sure the Council and developers know what our community needs. Working together we can make huge improvements to the area. At Arnos Grove station there are in the region of 600 parking spaces. However, plans are afoot to develop the areas around the station that would include the loss of at least half of all station parking. See 'Policy 17 Arnos Grove Station (Site 7)' in the North Circular Area Action Plan, which is part of Enfield's Local Plan adopted October 2014. To have your say before it is too late please download an objection letter and send to the local councillors and MP listed in the letter. What do you want from your Residents' Association? Please take a couple of minutes to complete our questionnaire, which helps us understand what you want BHORA to be focusing on. Many thanks to Derek Honnor (Committee member of the BHORA resident’s assoc) for taking the time to meet with the planning officer to go through the various issues the drive-thru would cause. The question now is, what do we want the site and shops at Ritz Parade to be, what does the area need? A formal consultation should begin shortly, we will be in touch. McDonalds have recently resubmitted plans for a Drive Thru' at the same site where plans were sensibly rejected a year ago thanks to over 100 objection letters being sent to Enfield council. As before, this recent proposal is extremely worrying and will seriously erode our area. Many BHORA residents feel such a plan is not suitable for the given location as it is in close proximity to two schools on an extremely busy road. Please help support this campaign by taking a few minutes to download an objection letter and send to Enfield before August 9th. View the letter sent by BHORA's chairman to the council. 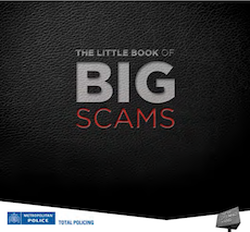 The Metropolitan Police have issued a booklet detailing the vast array of scams that are being used. This is a useful guide that provides some easy steps you can take to protect yourself against many of the scams currently operating in the UK. We rely on yearly membership subscriptions to cover our basic running costs. Having a significant number of paid members gives us a stronger voice when dealing with local issues. Please support your association and become a member, costs £4 per household per annum. BHORA welcomes your comments and feedback that may help us to improve this site. Let us know your views about this website.